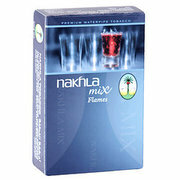 Nakhla Exotic Premium Flavored Tobacco is produced by the largest flavored tobacco manufacturer in the world. Founded in 1913 and manufactured in Egypt, Nakhla is shipped to over 90 different countries and was the first hookah tobacco brand to be offered worldwide. Their Exotic (or original) line is unwashed with a medium to large choppy cut that is undyed and very flavorful with more nicotine than most modern tobaccos. This line contains many classic flavors as well as a traditional flavorless option that all take hookah back to its roots by incorporating rich woody tobacco notes as a part of each flavor profile. Nakhla has an interesting variety to choose from and their 250 gram packages allow for Hookah users to smoke several times a month or with large groups of friends. This size is packaged in a box with a secondary inner package in brick form. This package is not resealable so store it at room temperature in an airtight container so that it is sure to maintain its freshness. 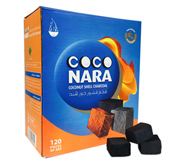 Nakhla produces the best results when using either a fluff pack in an Egyptian clay bowl or a semi-dense pack in a phunnel bowl. Always mix up your tobacco to redistribute the juices throughout the blend and then either sprinkle it in producing a fluff pack or slightly over pack it and press it down until it reaches the edge of the rim for a semi-dense pack depending on your hookah bowl of choice. Sight foil contact is fine since it is not very heat sensitive. Due to its resistance, it is recommended to start with 2-3 hookah coals depending on the bowl size and work your way up. Just keep in mind that even though it can take the heat, too much of it will turn the session harsh. 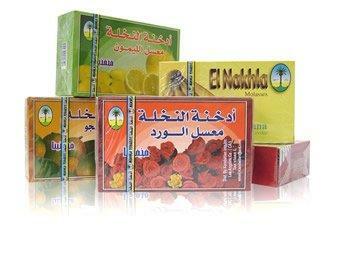 Brand Nakhla - The Nakhla Tobacco product may come in Nakhla Regular, Nakhla El Basha, or Nakhla Fakhfakhina, all of which are Nakhla Brand Tobacco products. Please contact Customer Support if further clarification is necessary.